Hi ASOD. I’m from Lincoln, Buenos Aires, Argentina. This is a triple sketch made in “El Triunfo”, Buenos Aires, Argentina. I hope you enjoy the drawings. Regards & Good Luck! Very nice trio of sketches. Enjoyed the sketches as well as the way they are displayed. 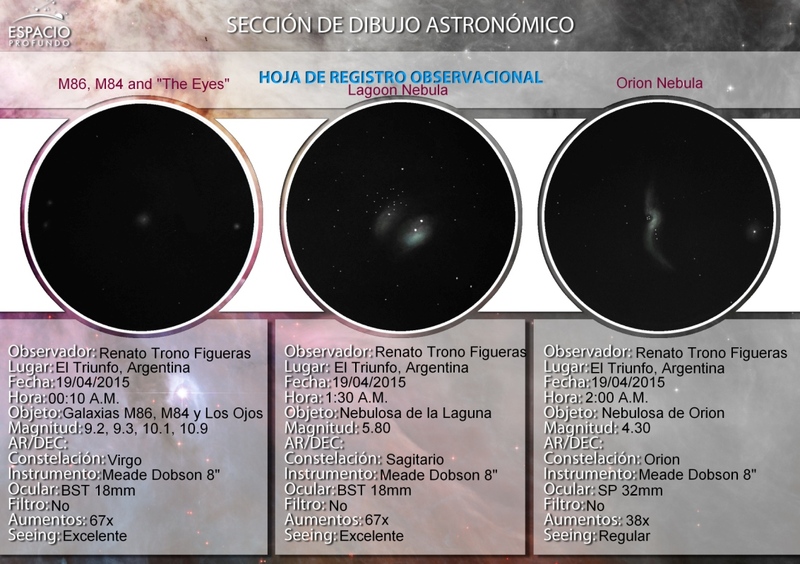 Beautiful Collection of Three interesting deep-sky-Objects! Great capture of each sketch! I like the sketches and the background presentation is really outstanding. Very nice sketches, very nice presentation. Well done!!! All very nicely done and displayed.